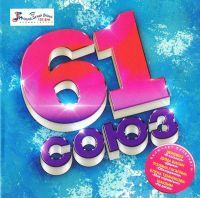 The new album of the winner of the "Eurovision 2008"! 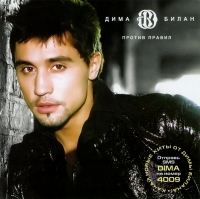 "Dima Bilan. Mechtatel (Gift Edition)"
"Dima Bilan. 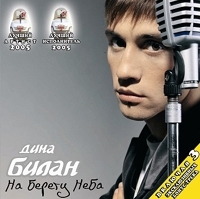 Protiv pravil (Gift Edition)"
"Dima Bilan. Protiv pravil + Believe (2 CD) (Special version)"
V sbornik voshli samye luchshie proizvedeniya takie kak "Never let you go" ili "Vremya reka". 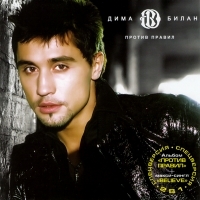 "Dima Bilan. See what I see (Dima Bilan. Vremya reka)"
Vpervye polnaya versiya kontserta. Bolee 2 chasov luchshih pesen. 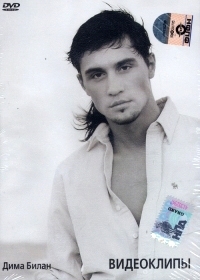 "Dima Bilan. I'm a Night Hooligan (Dima Bilan. Ya nochnoy huligan)"
"Dima Bilan. You, only you (Dima Bilan. 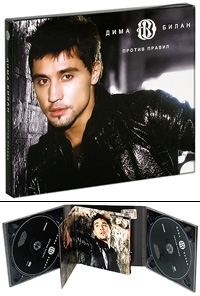 Ty, tolko ty) (Gift Edition)"
"Dima Bilan. Time-River (Dima Bilan. Vremya reka)"
"Dima Bilan. Between the heaven and the sky (Dima Bilan. Na beregu neba)"
"Various Artists. Goryachie khity vesny 2013. I love you"
"Various Artists. XXXL 30. Maksimalnyy"
"Various Artists. Exclusive. Muzykalnye novinki"
"Various Artists. 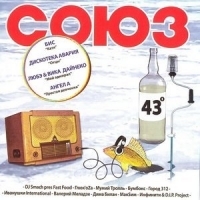 Novaya igrushka 33"
"Various Artists. Samaya goryachaya novinka 15. Polnyy ulyot"